LEAP presentations were conducted through Blackboard Collaborate. Select a title to view the recorded presentation. LEAP at UNG: What is a Liberal Education and Why is It Important? 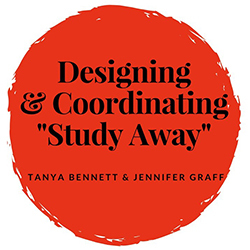 Designing and Coordinating "Study Away"
Ever imagined how your instruction could be enriched by taking students to explore a particular site or location? While study abroad benefits are commonly appreciated, “study away” is less familiar territory. Join us for discussion of study away as a high impact practice and insight about how to make yours a success. A LEAP UNG initiative in partnership with the UNG Honors Program and the Center for Teaching, Learning, and Leadership.